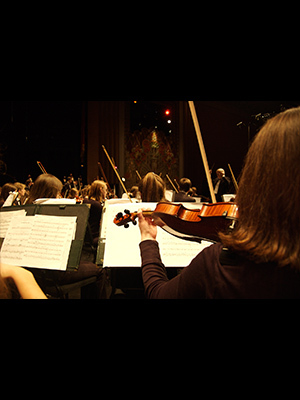 The Vermont Youth Orchestra performed on Show 213, recorded in February 2010. Founded in 1963, the Vermont Youth Orchestra (VYO) draws its members from among the most talented young musicians in Vermont, New York and New Hampshire. It presents three major concerts each year at Burlington’s Flynn Center for the Performing Arts and also performs at community events, school tours and in and small-ensemble recitals. In 2004 the VYO performed at Carnegie Hall in New York. In 2005-2006, the VYO performed with renowned violinist Midori. In 2007, the VYO embarked upon their first international concert tour in China. They completed their second tour of Québec & France in July 2009.